This is not really about natural building, but it is a very encouraging step toward regenerating our environment. A massive Great Green Wall is being built in Africa where people from 20 countries are joining forces to grow a thicket of drought-resistant trees across about 6,000 miles of land at the southern edge of the Sahara desert in a region known as the Sahel. It runs the width of the continent, from the Atlantic Ocean to the Red Sea. The area was once green and mostly covered in grassland and savanna, but it has become more arid and barren. There is a lack of food and water, and people are looking for better places to live, with conflicts erupting over dwindling natural resources. Initially, leaders from 11 African countries signed on to the initiative in 2007, but today more than 20 countries are involved. The Great Green Wall covers 780 million hectares of land, and the area is home to 232 million people. 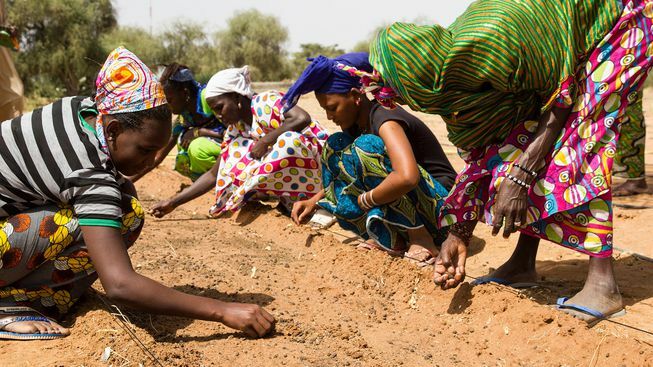 Men and women of all ages are joined by children to plant mostly drought-resistant acacia trees, as well as gardens filled with vegetables and fruits. Just over a decade into the project, it’s about 15 percent complete. As the project greens up the landscape life is coming back to the land, with millions of people who live there finding food and water security, as well as more jobs (even boosting gender equality as women also have found work) and a reason to stay. Research institutions, grassroots organizations, scientists and even tourists have visited the area as the project unfolds. Once it is finished, the Great Green Wall should be the largest living structure on the planet, three times the size of the Great Barrier Reef. That is great!! What a great project !